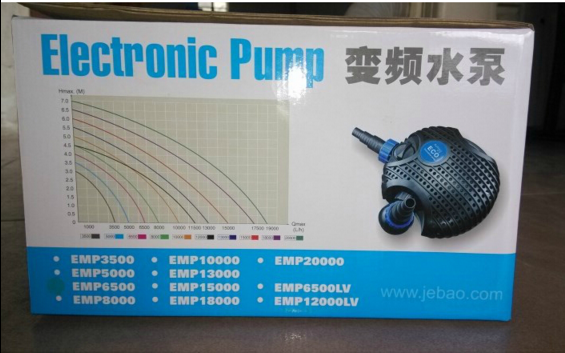 Jebao EFP series pump-The variable frequency turtle pump for drainage and cleaning of underground pool, rockery Circulating water supply, fountain displays and drainage or circulation of freshwater aquaculture. High performance motor with innovative electronics, and energy saving up to 50%. IC electronic detection, automatic power-off protection upon no water. Motor protection if rotor is blocked. High pump heads and larger flow. Can pump dirt particles of size up to 6mm.